Marissa Skudlarek, on weaving a tale in another time, another place. For the past few weeks, I’ve been living with half my head in the 21st century and half of it in the Renaissance. 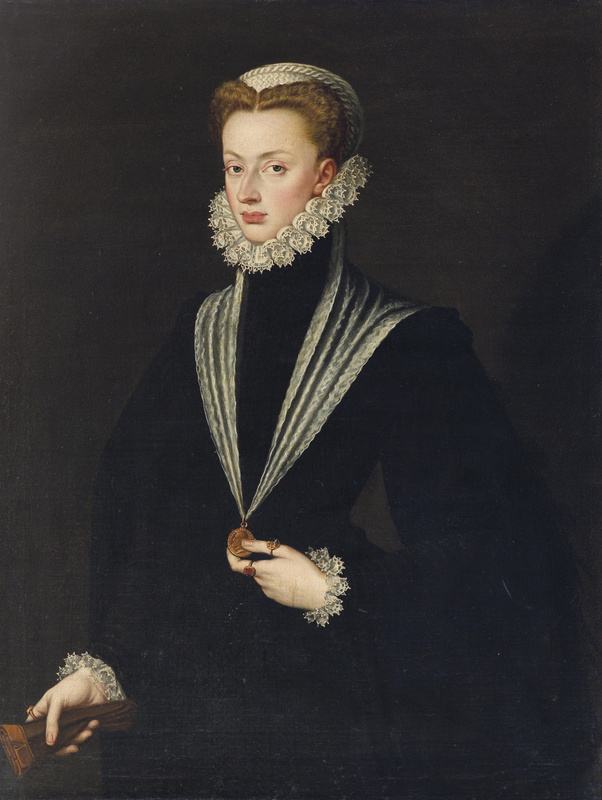 I’ve been hard at work readying my new full-length play Juana, or the Greater Glory for a staged reading on Saturday night as part of the Loud and Unladylike Festival, and therefore I’ve spent a lot of time thinking about mad queens, scheming dukes, and sickly princes. Juana tells the incredible true story of a young Spanish Habsburg princess in the mid-1550s, who is the only woman ever to become a Jesuit. This is an earlier era of history than I’ve ever really tackled in writing before: I’ve written full-length plays that take place in 20th-century America, and at least one of my short Olympians Festival plays takes place in vaguely defined “classical” times, but never a full-length play that takes place in such a different time and country. The 1550s in Spain and Portugal are well-documented enough for us to know what happened and who was involved with it (at least when it comes to royal and aristocratic families), but not necessarily enough for us to know the reasons why certain things happened or why people made the decisions they did. Maybe this would be different if I’d improved my ability to read Renaissance Spanish, gone to Madrid, and sought out old documents in obscure archives; but from the perspective of a 21st-century Californian with passable but not expert Spanish, doing most of my research on the Internet, I’ve been able to put together a timeline of the key events of Juana’s life, but not to read her words or understand more than the bare facts about her. But, as a playwright, this is what I love: the historical facts give me a structure, but I get to flesh out my characters’ psychology and motivations, and make them my own. In a way, this is similar to what I’ve done when writing mythology-based plays for the Olympians Festival: Greek myths provide a vivid cast of characters and the outlines of a plot, but not necessarily an explanation for why the gods and mortals behave as they do. Writing mythology-based plays prepared me for writing a play based on a distant, dramatic era of history that (from my perspective) might as well be myth. I feel like the 1550s setting also forces me to be a stronger writer, since I cannot fall back on appeals to persons, places, or things that the audience will find familiar. Many young writers, having seen too many episodes of The Simpsons or 30 Rock, think that cleverness in writing is merely a matter of making endless pop culture allusions. Writing a play that takes place in the Renaissance strips you of that crutch. You can allude to the Bible, to Greco-Roman mythology and history, to certain folk tales, and that’s about it. I do have to be clever – especially because I am writing about a person and a period of history that are pretty obscure to American audiences – in order to convey the necessary backstory without boring or confusing the audience. But it is not the superficial glittering cleverness of pop culture allusion and snark. While drafting Juana, I motivated myself with thoughts of “What would Shakespeare do?” If you are writing historical drama about medieval or Renaissance-era royalty, it makes sense to look at how Shakespeare did it, and especially, how he wasn’t afraid to combine characters, ignore facts, and invent encounters out of whole cloth, as long as they made for better drama. “What would Shakespeare do?” therefore is my way of justifying my own elisions, inventions, and places where I deliberately ignore the facts. I haven’t done too much of that in Juana: the main examples I can think of are that I’ve aged up a child from about 9 to about 14, for both plot and produceability reasons; and I’m saying that a certain Spanish nobleman was in Spain during this time when really he was in England. But frankly, this is nothing compared to what Shakespeare did. I want to honor Princess Juana’s amazing true story – I’ve really come to love and admire her through writing this play – but I do not feel an obligation to fact-check every line I write. Yet there is also the danger of too much research, of writing something that would be better as a novel or nonfiction piece than as a play. Juana, or The Greater Glory covers about two years of Juana’s life (the most eventful and dramatic years, IMO) – and it’s been a bit of a challenge to compress two years of events into a two-hour play. But the problem would have been even more acute if I’d tried to cover an even longer period of time. Juana’s son Sebastian, for instance, who appears in my play only as an infant, grew up to have a short but fascinating life as the King of Portugal. He would be a great subject for a play. Someone else’s play. See the staged reading of Marissa Skudlarek’s play Juana, or the Greater Glory at PianoFight on Saturday, July 16 at 7:30 PM. (Note the start time!) Tickets here.